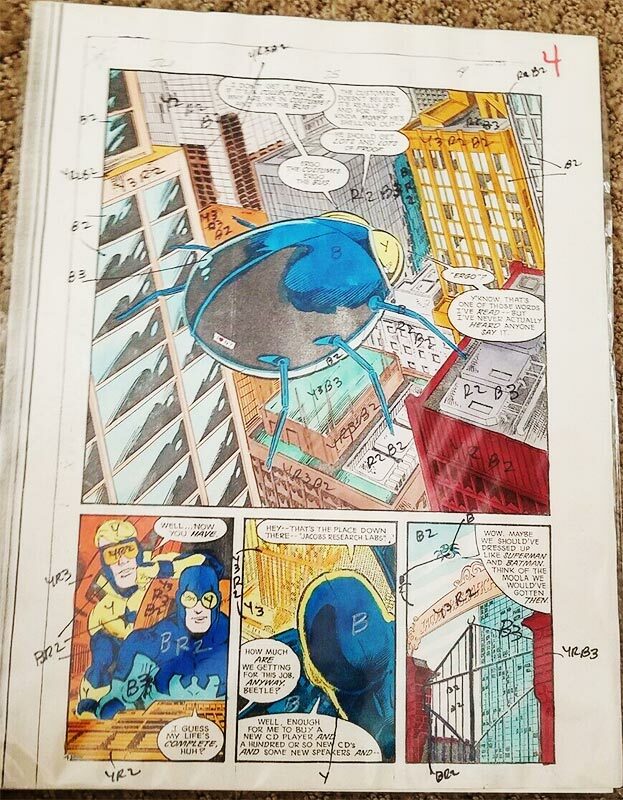 Booster booster Aaron Hale is currently selling ten pages of the original color guide for Justice League International #25 on eBay.com. What's a color guide, you ask? Time for a brief history lesson! Computers and modern printing techniques have changed things, but for most of the history of comics, all hues were printed from a few shades of one of three distinct colors. 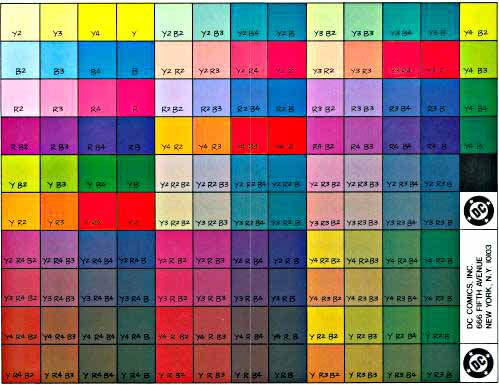 Below is artist Todd Klein's color chart from the 1980s when he worked at DC Comics. It has codes for each possible color, where "Y" stands for yellow, "B" for blue, and "R" for red. The "2" meant 25% saturation, "3" was 50% saturation, "4" was 75% saturation, and no number was fully saturated, pure color. 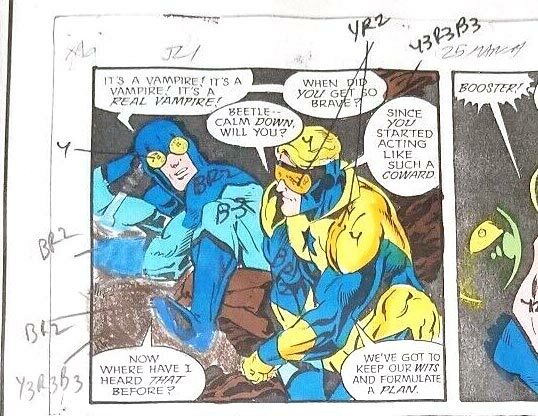 When JLI #25 was released in 1989, 124 colors were possible. Like a kid with a single box of crayons, the colorist filled in the black and white drawings with watercolor paints to match those colors. The less fun part came after the paint dried. That's when the colorist had to go back over their work to provide the printer of the comic with an appropriate code for each color used so that the image could be reproduced. The colored and coded page was called a color guide, and that's what Aaron is selling. Aaron's auction ends tomorrow, so don't drag your feet. If you'd like to lay your eyes (or your hands) on a bit of Blue and Gold history, hurry over to eBay.com today! If Booster Gold gave four news interviews and then gave ten more, how many interviews has he given in all? 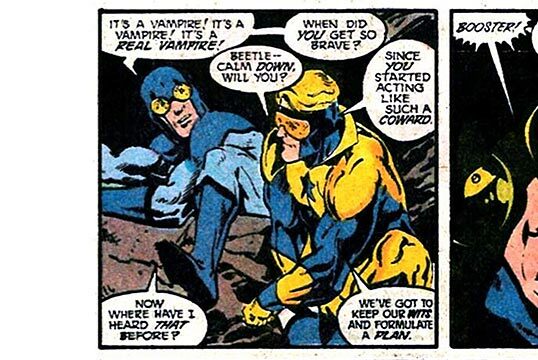 If there were seven villains, and Booster Gold defeated seven of them, how many villains remain?